Here at Toronto Cannabis Seeds, our goal is to provide you quality seeds and cannabis strains from the best Canadian breeders. All our marijuana seeds are made in Canada, and we ship worldwide. Our seed bank is located in Toronto (Ontario). 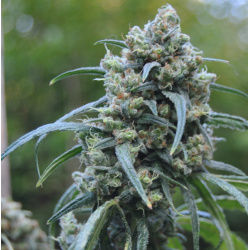 You will find in our inventory the best Canadian cannabis seeds in feminized, regular, CBD, medical and auto-flowering varieties. Great customer service, great prices, and the best quality of seeds. Happy growing!